In an effort to always bring you the latest and greatest information, I am happy to present another installment of our Advisory of Women Entrepreneurs Spotlight on Success interview series. This week I am happy to share my action-packed interview with Janna Hoiberg, Executive Coach and Owner of Action Coach Advantage. And why the concept of “beginning with the end in mind” is vital to your business. Janna offers a wealth of resources on her site for anyone looking to advance their business to the next level, so be sure to take the time to check it out. Enjoy! Thank you for watching. If you are interested in joining A.W.E. and becoming a featured guest on the new Spotlight on Success Show CLICK HERE for more information. Janna Hoiberg, founder of Action Coach Advantage, offers her clients over 25 years accomplishment-laden experience in managing and operating successful small businesses. As an Executive Business Coach, she has helped startup ventures, to high growth organizations increase their profits, improve their systems, strengthen their teams and grow their companies significantly. Janna has been successful because of her vast array of Executive and Leadership positions in various organizations, offering an abundance of Marketing, Operations and Sales experience to her clients. Janna’s success with her clients is well known. She has worked with businesses to help them grow their revenue by over 60% in 18 months. A Contractor doubled their business for two consecutive years. In addition, an advertising executive grew his revenue by 30% in 6 months; a services business doubled their revenue in the first month of coaching and a contractor improved profitability by over 232% in one year. Janna enjoys providing her God given talents to her community and has served as the Project Manager for her local church building program, is a member of the Board of Directors of By Design Ministries, serves with Colorado Springs Chamber of Commerce Chamber University, and the Peak Venture Group 5 Minute Committee. Janna is also a Boy Scout Leader, on the planning committee for the Juvenile Diabetes Research Foundation annual walk-a-thon and is a Small Business Development Center Counselor. 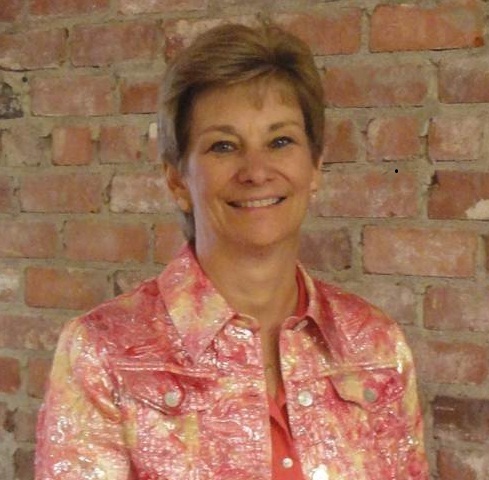 Janna was awarded the Colorado Springs Business Journal’s Best Business Consulting Firm for 2010. She also received the coveted ‘ActionMAN’ award for taking the lead within ActionCOACH to ensure her clients are benefiting from Social Media by making sure they fully utilize the tools needed for success as well as ensuring the support of ActionCOACH’s 14 Points of Culture – specifically Balance. This is congruent to how she works with all her clients to ensure they think out of the box, and learn new ways to grow their businesses. Her vision is to make a difference for business owners and to be used by God to impact lives. As the world of business moves faster and becomes more competitive, especially in Colorado Springs, having a Business Coach is no longer a luxury; it has become a necessity. Based on the sales, marketing, and business management systems created by over 1000 coaches around the world, Janna Hoiberg is a certified ActionCOACH Business and Executive Coach who is trained to not only show you how to increase your business revenues and profits, but also how to develop your business so that you can work less and relax more. Janna will become your marketing manager, your sales director, your training coordinator; your confidant, your mentor. She will help you make your dreams come true. The diversity of Janna’s background will be a valuable asset as she helps you overcome the challenges that both you and your business face. For your next event, give Janna a call as your keynote speaker. She has a wide selection of Edutainment (education and entertainment) workshops that can be tailored to your specific needs. Connect with Janna on Twitter and Facebook. This entry was written by Dr. Shannon Reece, posted on September 1, 2011 at 5:00 am, filed under Spotlight on Success Episodes and tagged Action Coach, AWE Spotlight Interview, Janna Hoiberg, small business tips, strategies for women. Bookmark the permalink. Follow any comments here with the RSS feed for this post. Post a comment or leave a trackback: Trackback URL.